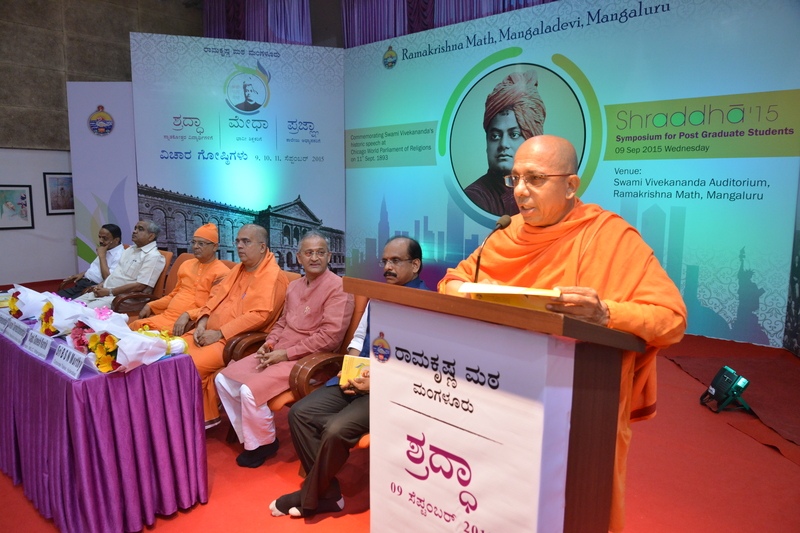 His Excellency Sri Vajubhai Rudabai Vala, Honorable Governor of Karnataka visited Mangalore Ramakrishna Math on the 11th September. 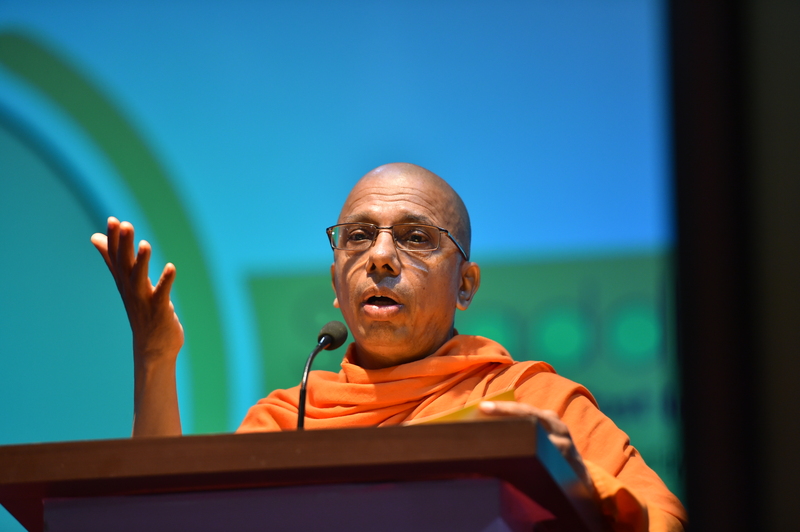 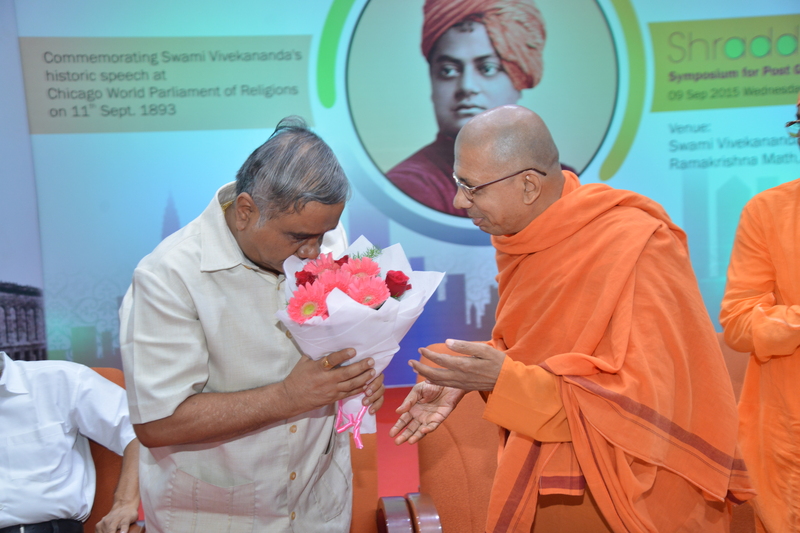 He was at the Ashrama to inaugurate Prajna – 2015 – Symposium for College Faculty organized in commemoration of the historic address of Swami Vivekananda at the world Parliament of Religions held at Chicago in 1893. 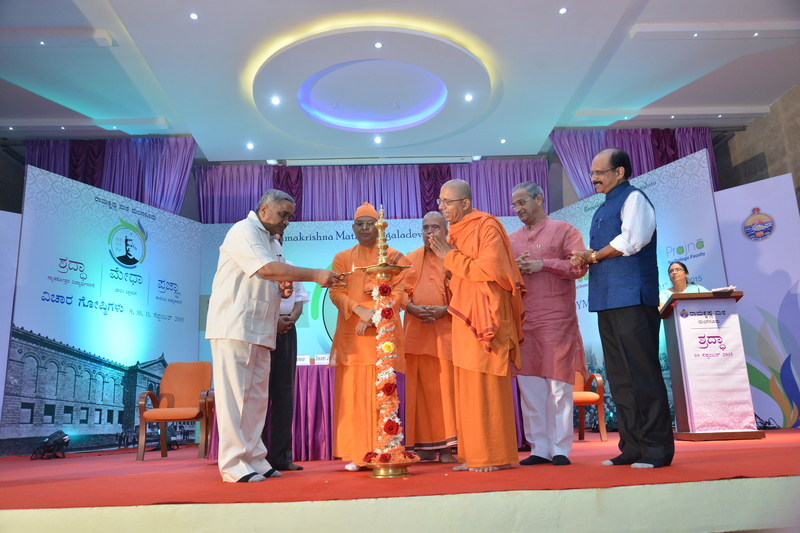 Swami Jitakamanandaji, Adhyaksha, Ramakrishna Math, Mangaluru, Swami Sarvasthanandaji, Adhyaksha, Ramakrishna Ashrama, Rajkot, Capt. 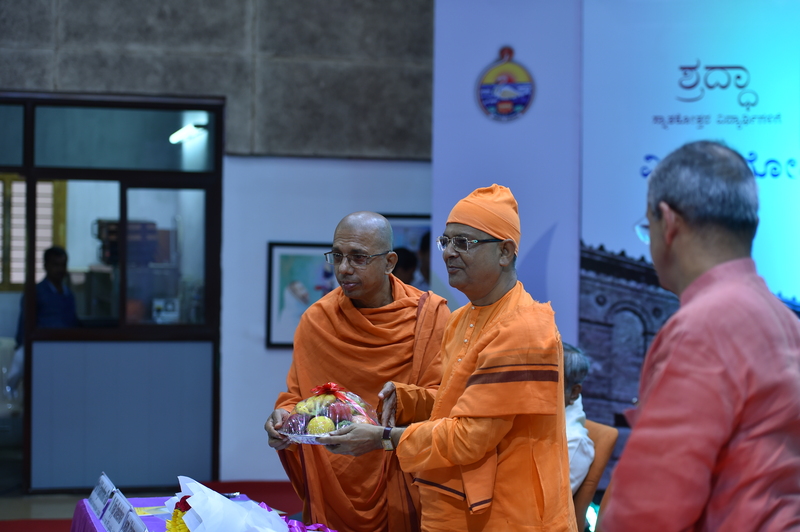 Ganesh Karnik, MLC, Mangaluru, Sri Dilraj Alva and several other eminent men & devotees received him at the Ashrama amidst tight security. 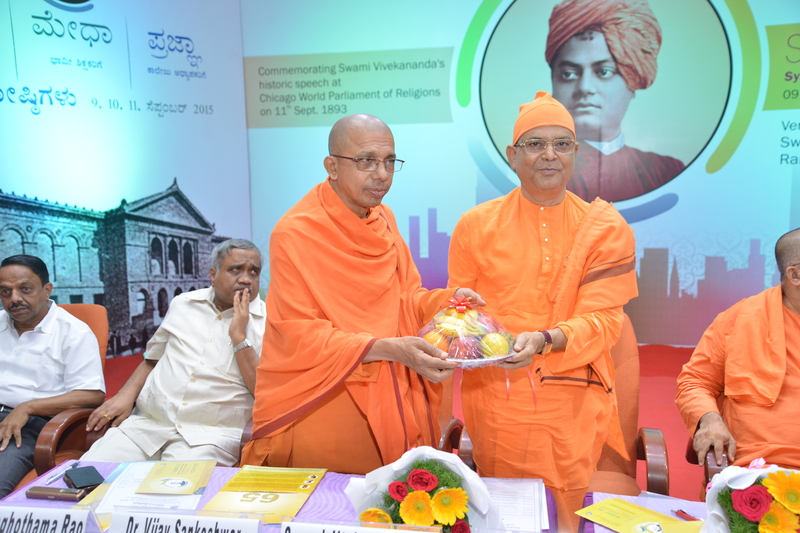 Honorable Governor upon alighting from his vehicle visited the temple of Sri Ramakrishna and paid obeisance. 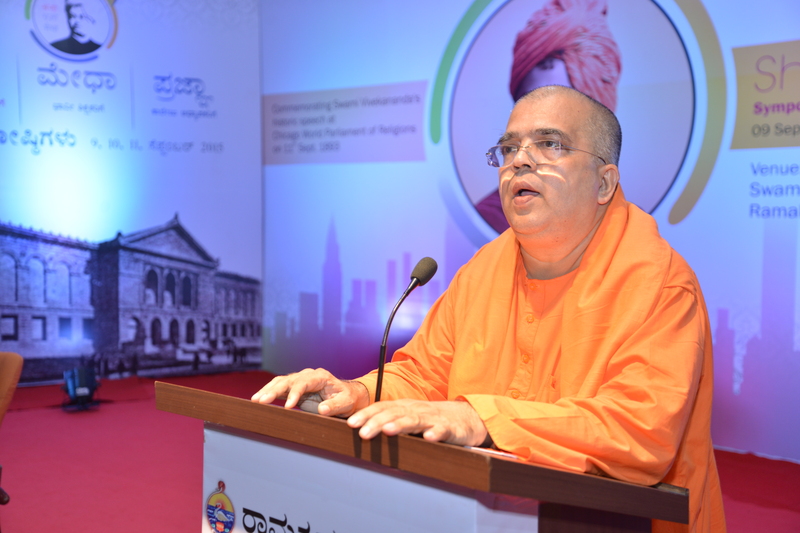 He saw the heritage building of the Ashrama and was briefed about its history etc. 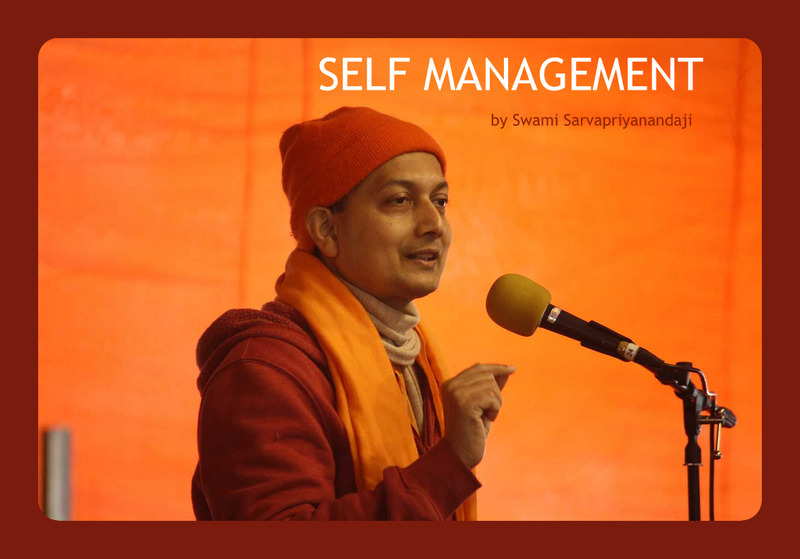 by Swami Sarvasthanandaji. 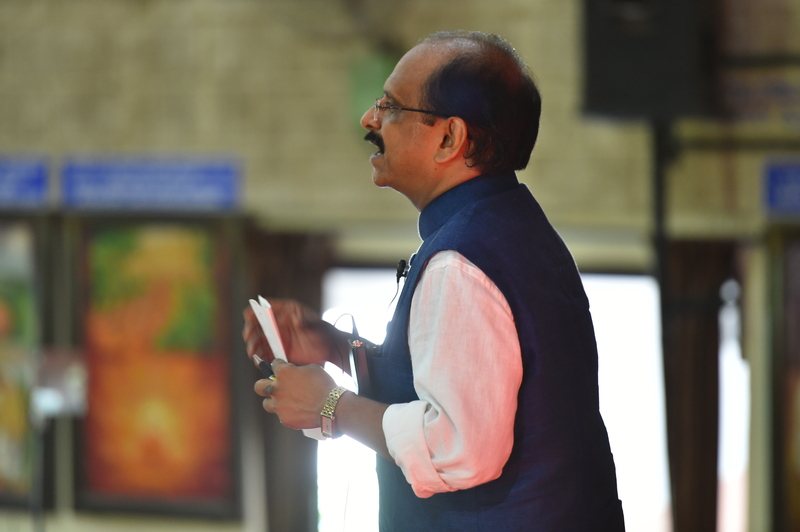 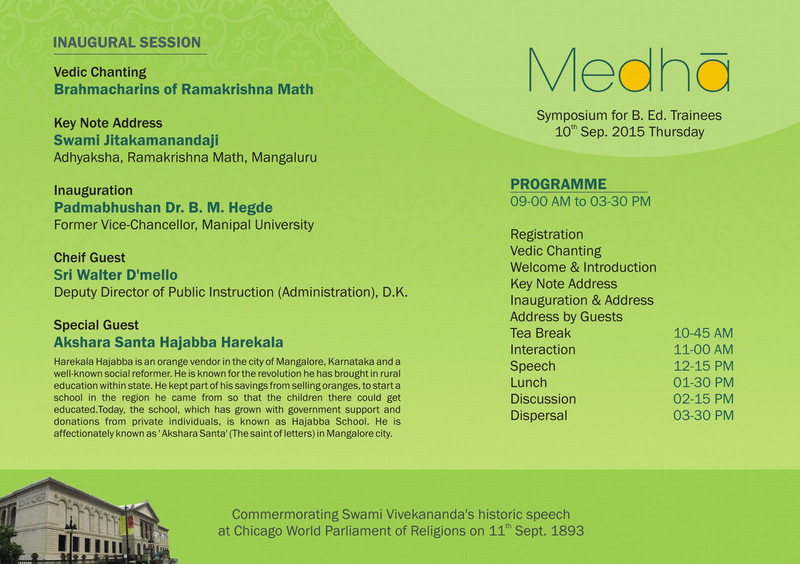 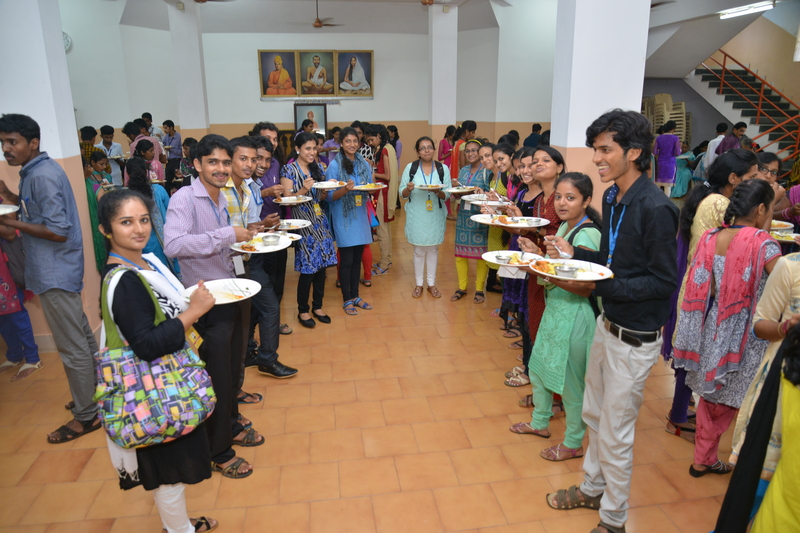 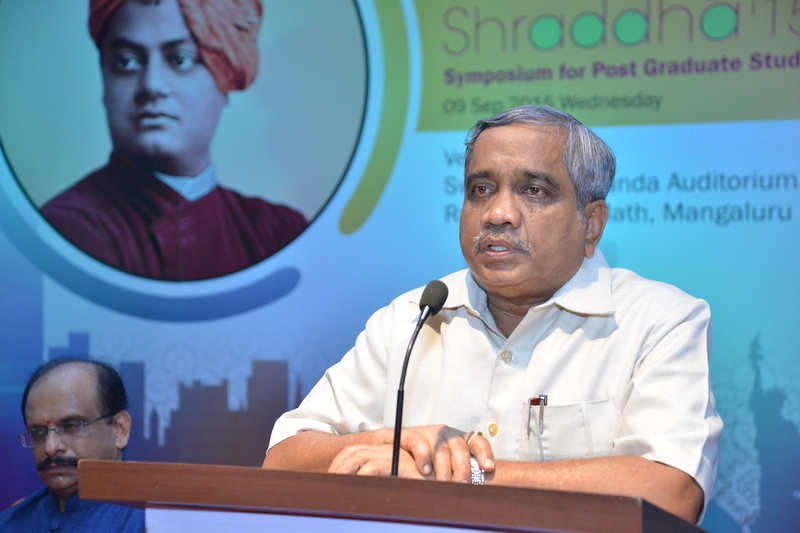 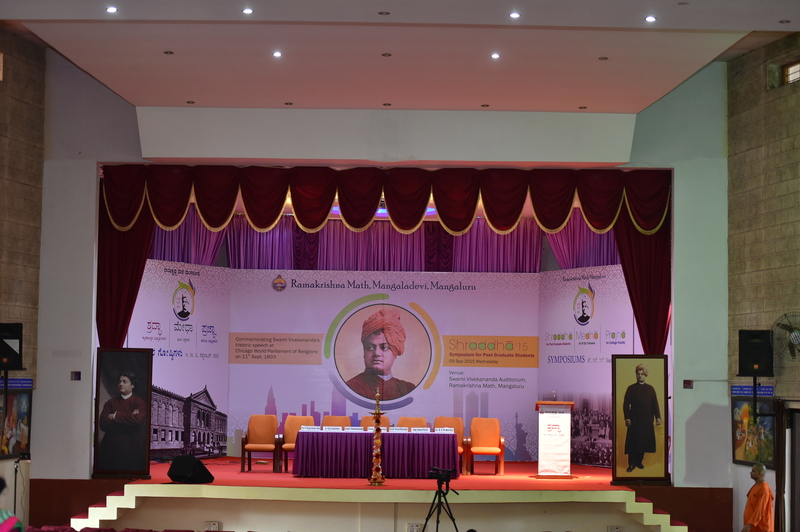 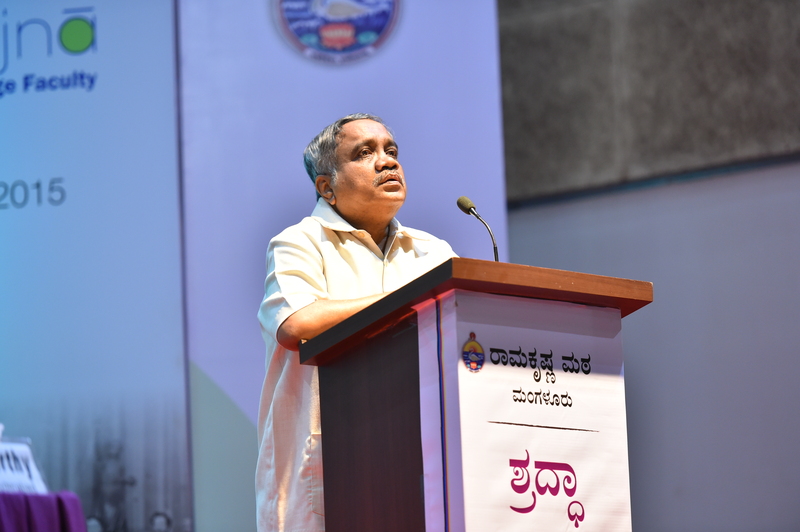 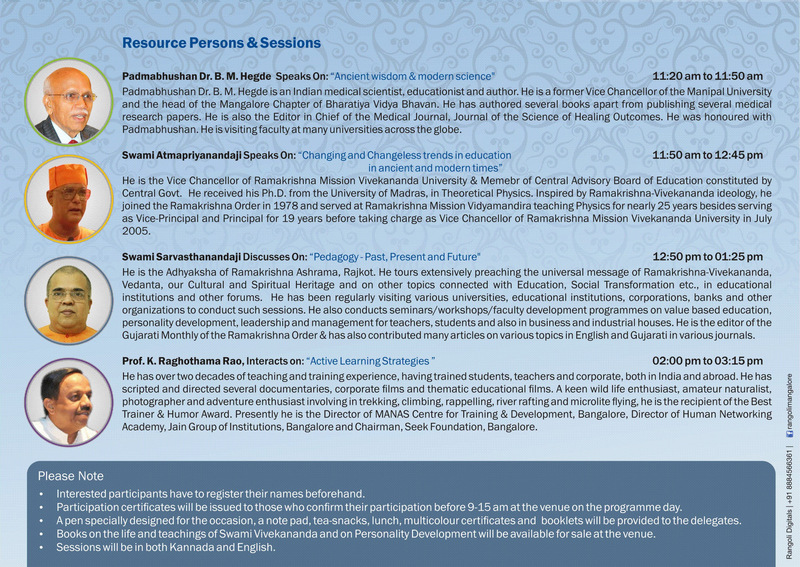 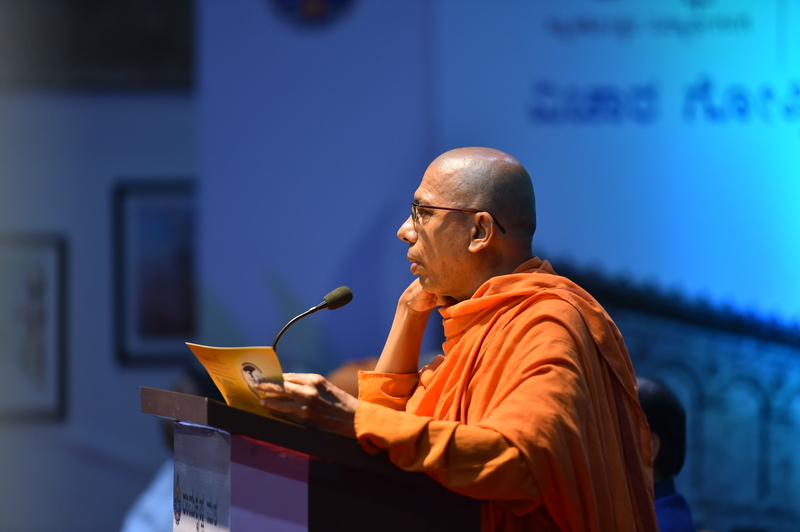 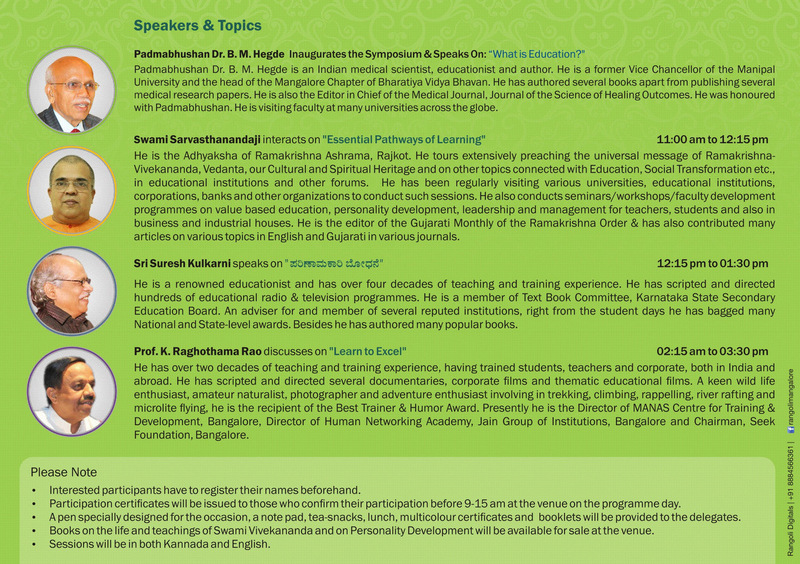 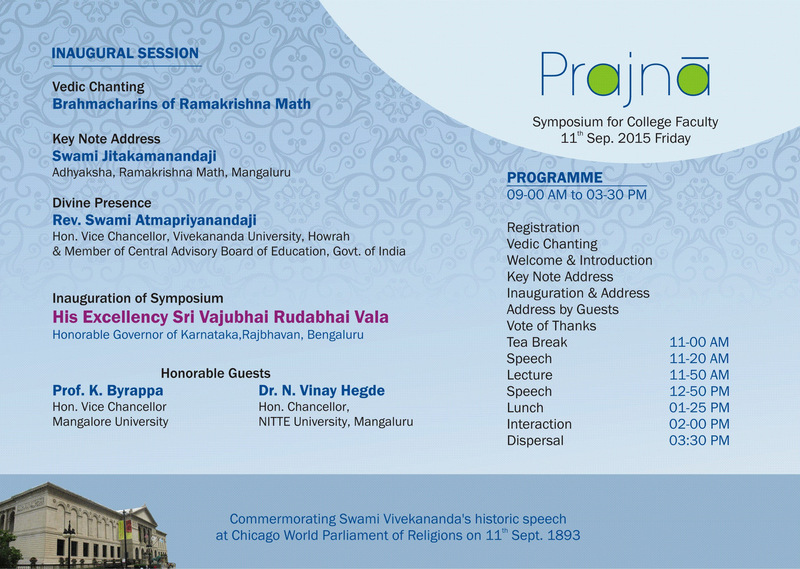 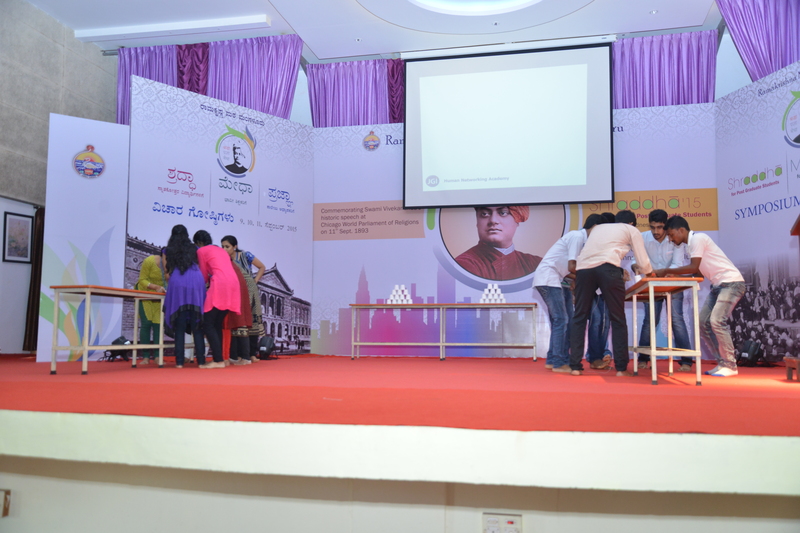 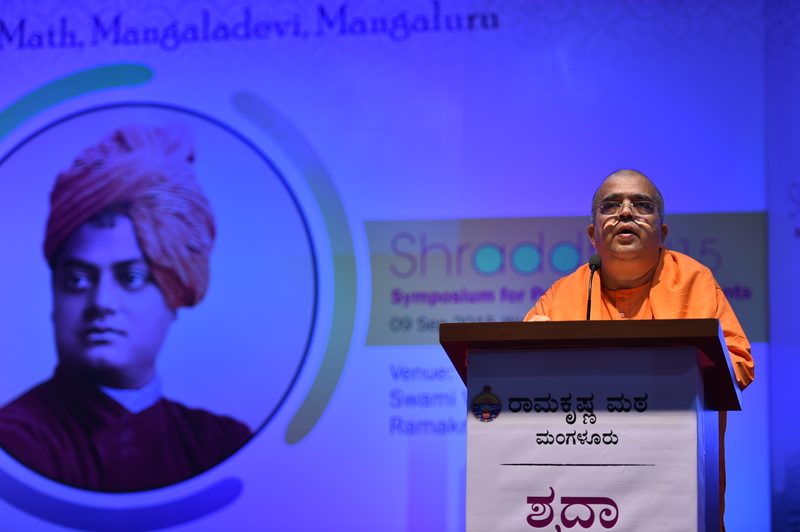 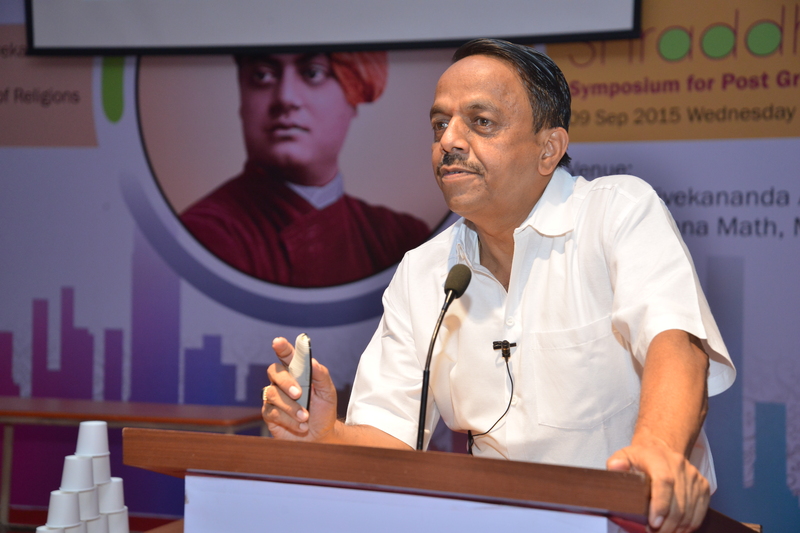 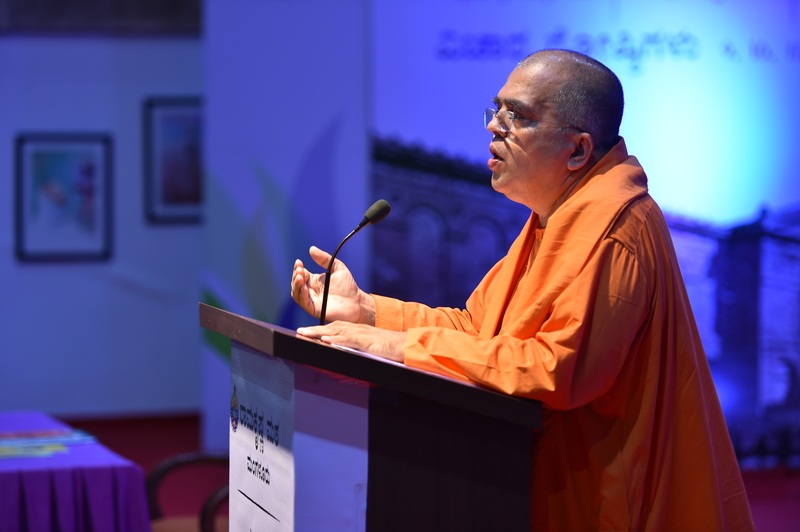 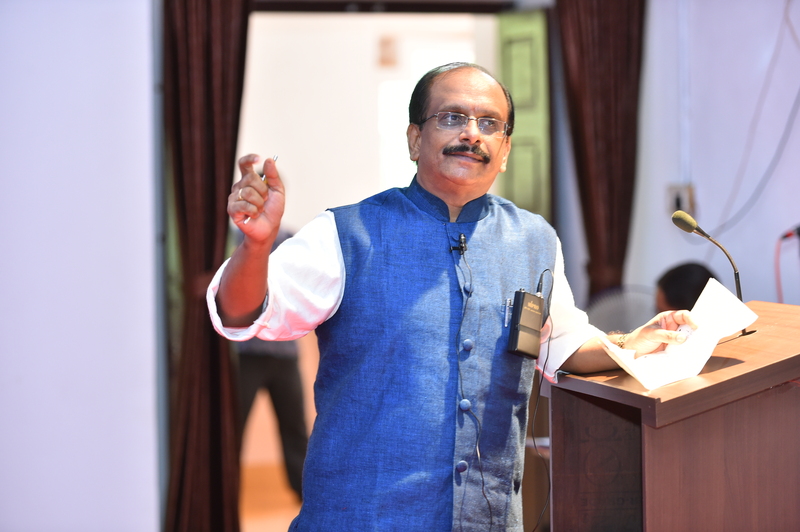 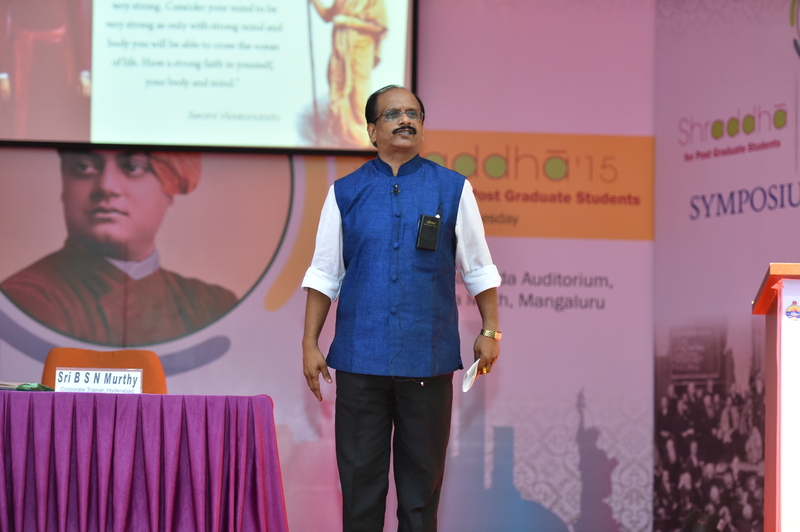 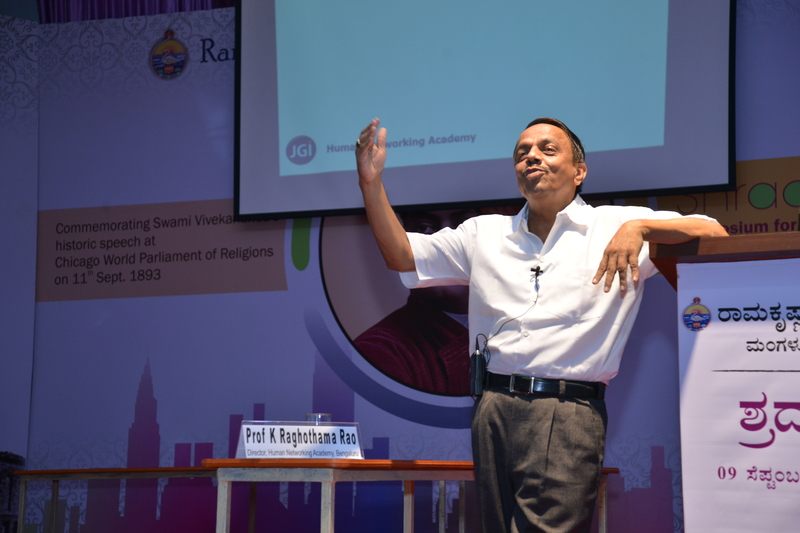 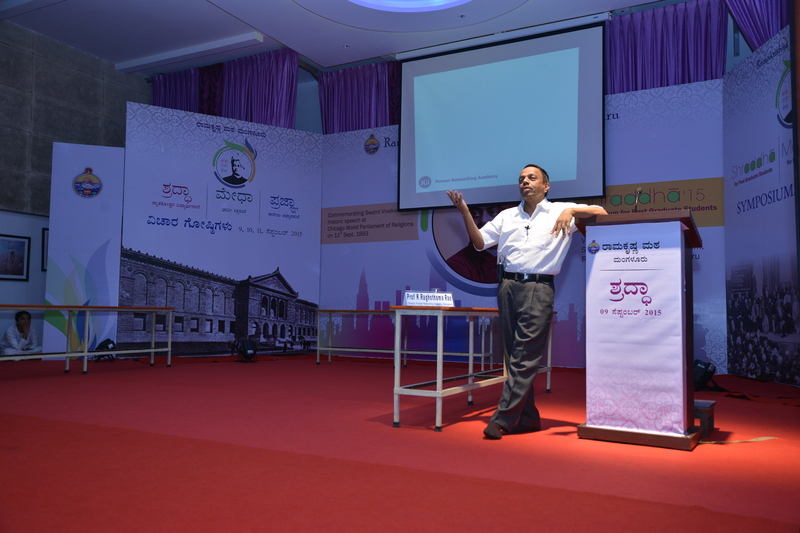 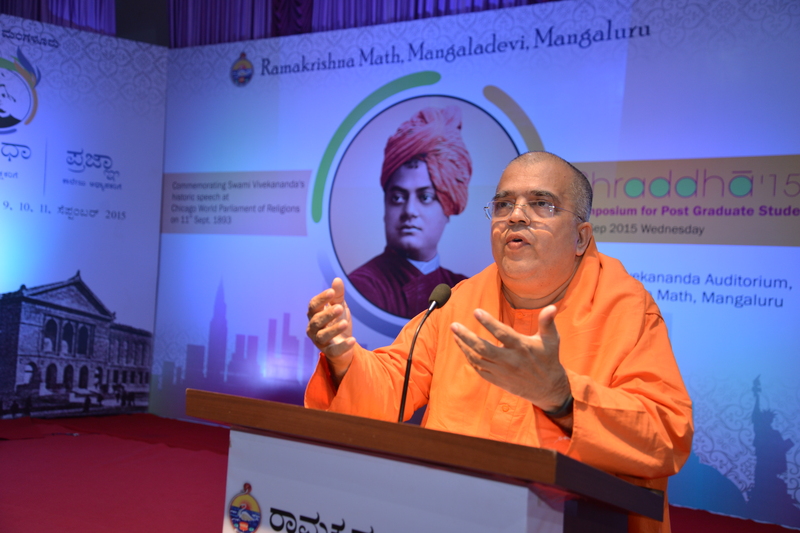 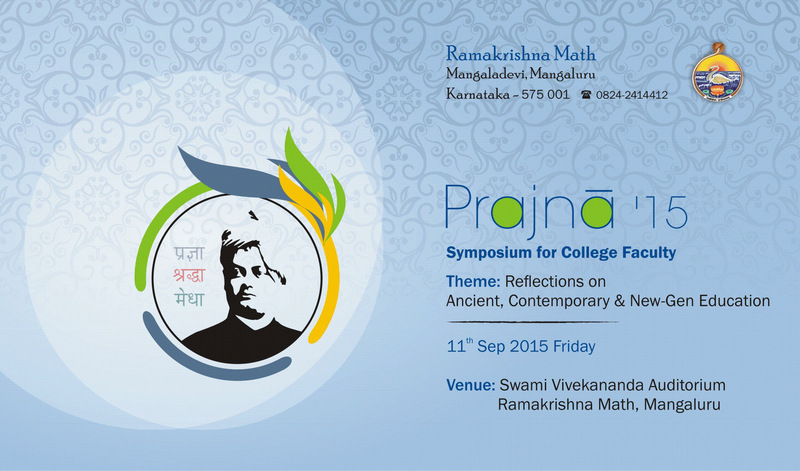 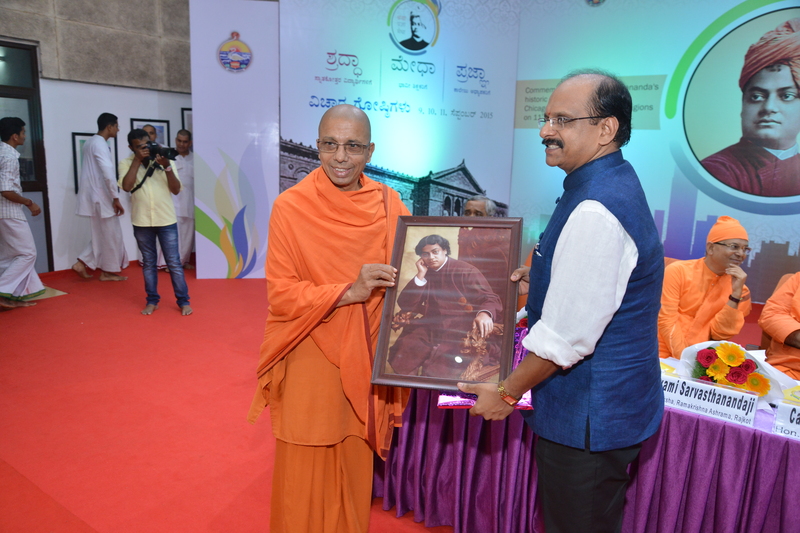 Ramakrishna Math, Mangalore organized Shraddha – a full day symposium for Post Graduate students in Ashrama Auditorium on the 9th September 2015. 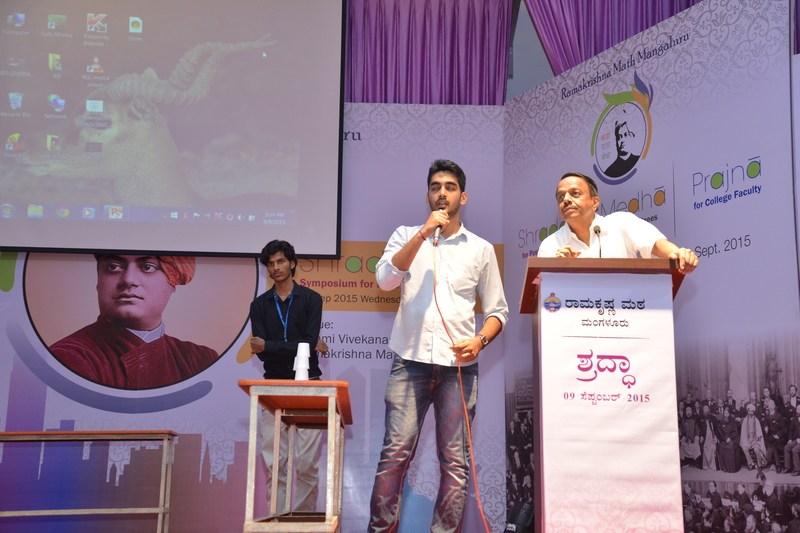 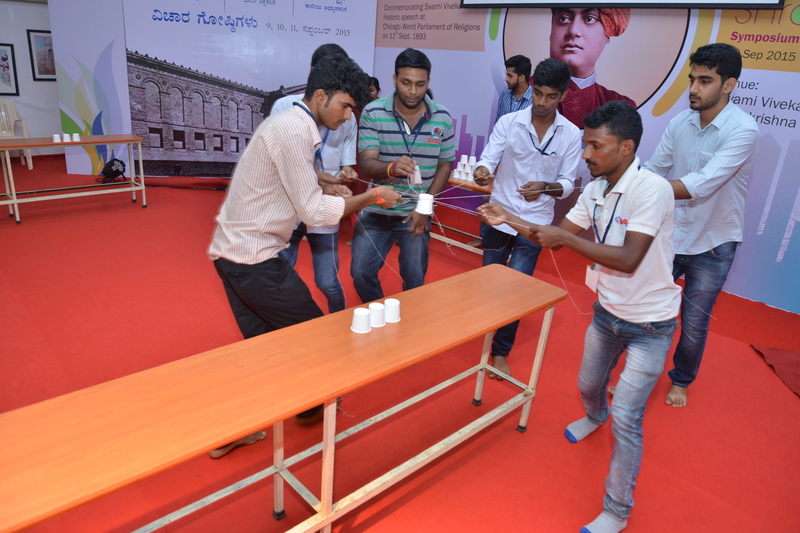 About 500 youths from different Institutions of Dakshina Kannada & Udupi Dist. 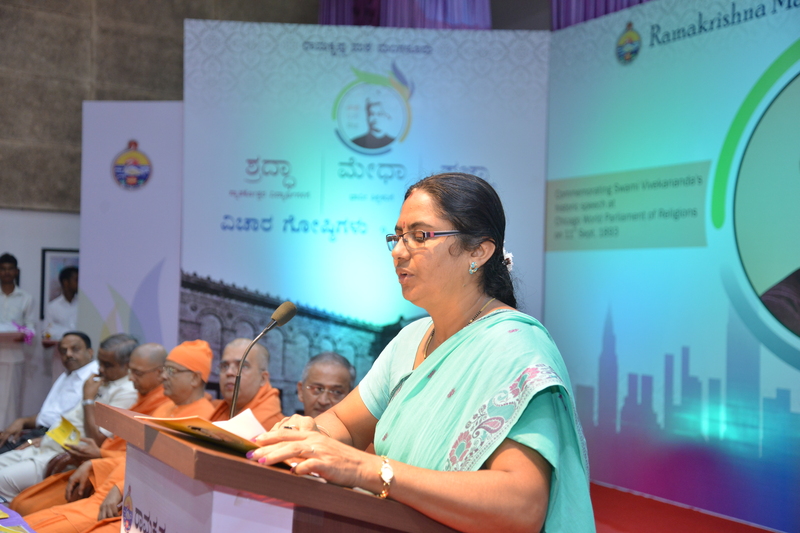 participated in the full day programme. 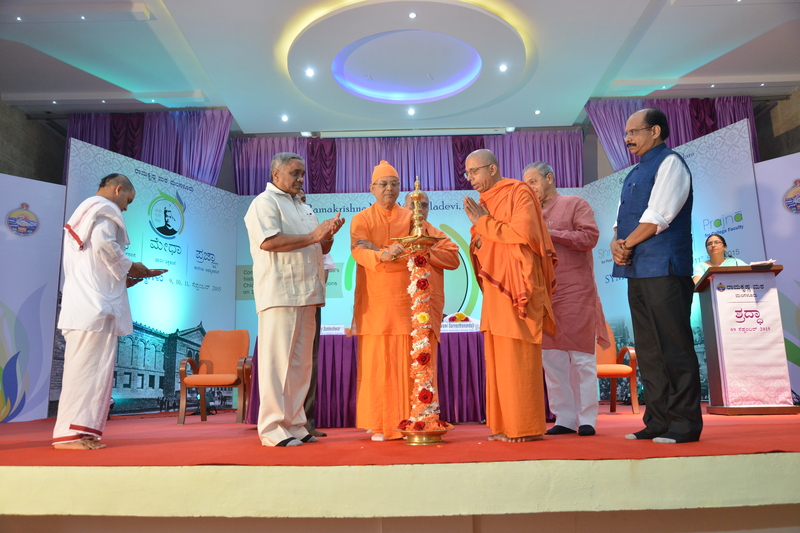 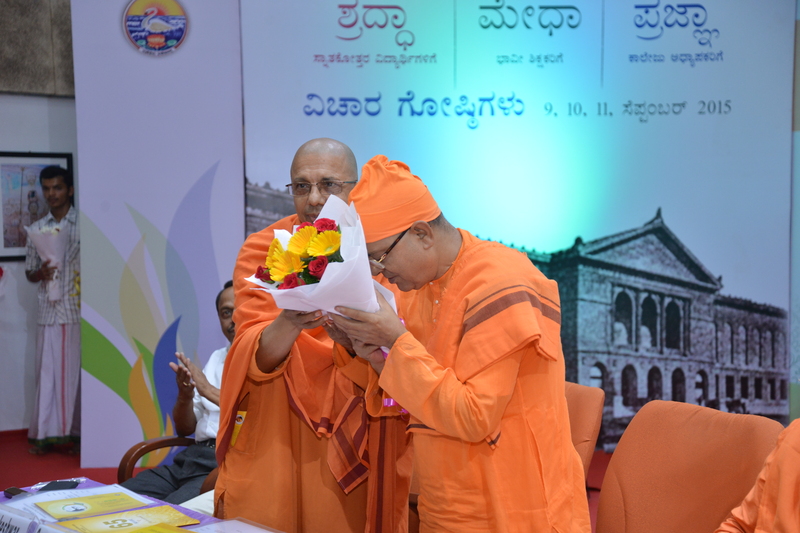 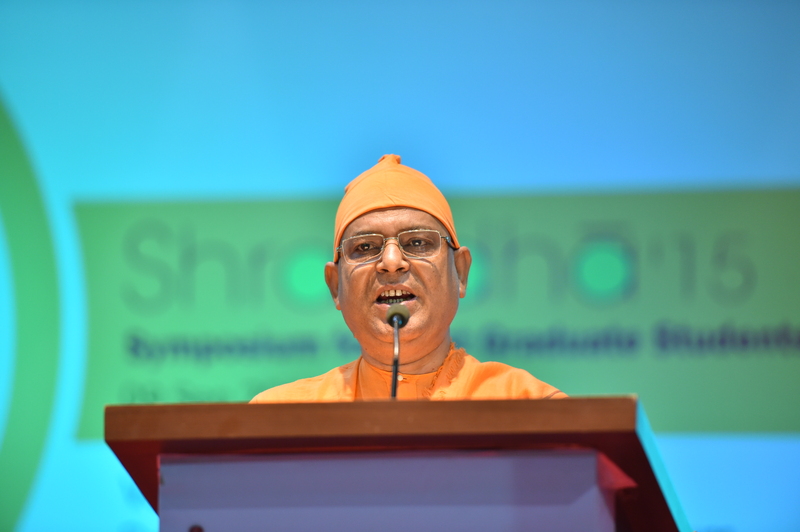 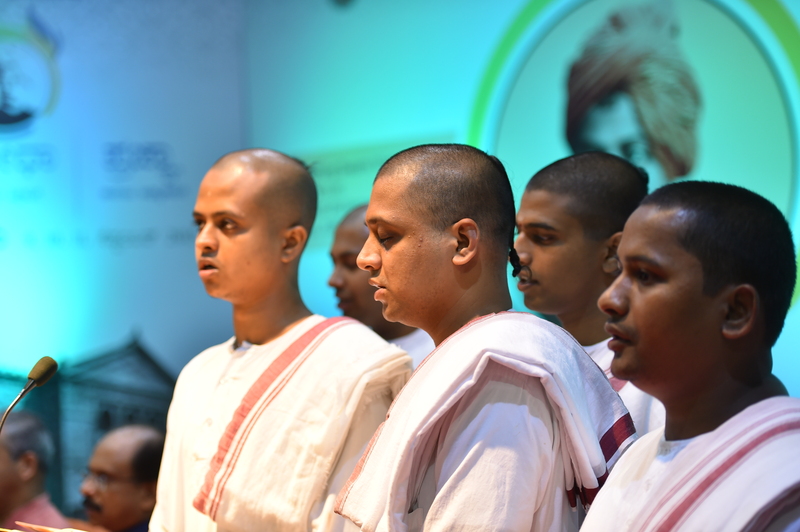 The programme was inaugurated by Swami Suviranandaji Maharaj, Asst. 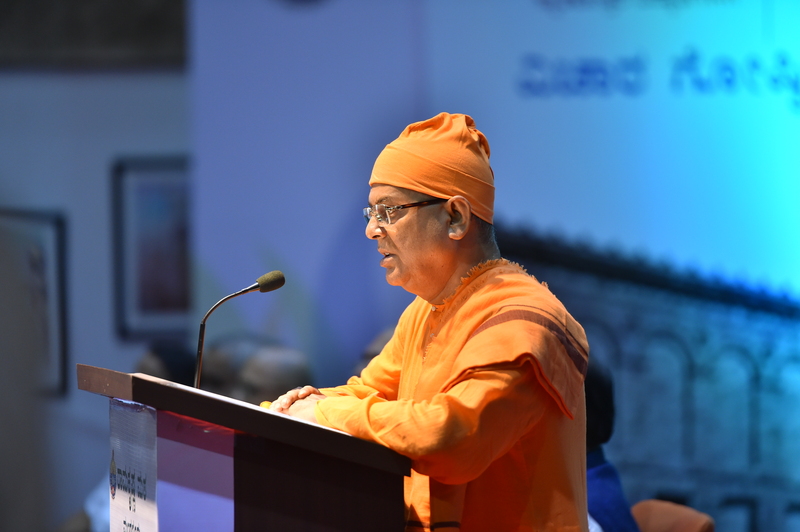 Secretary, Ramakrishna Math & Mission, Belur Math. 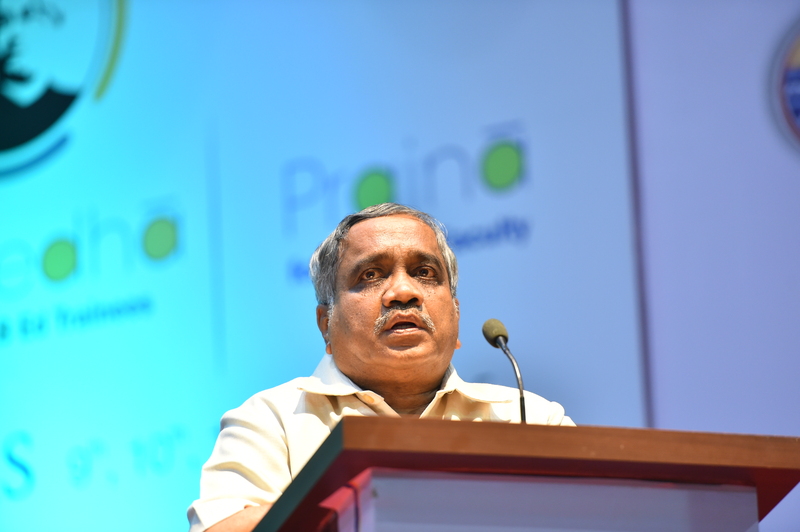 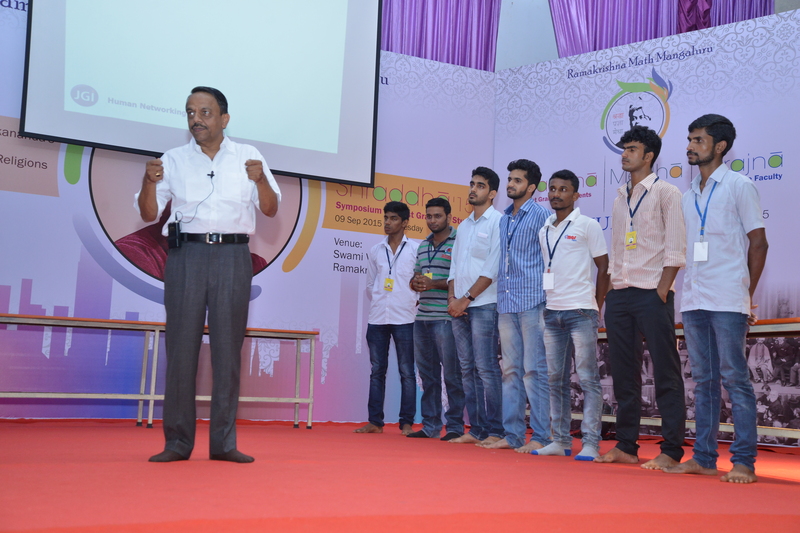 Sri Vijay Sankeshwar, Chairman, VRL Logistics Ltd. was the chief guest. 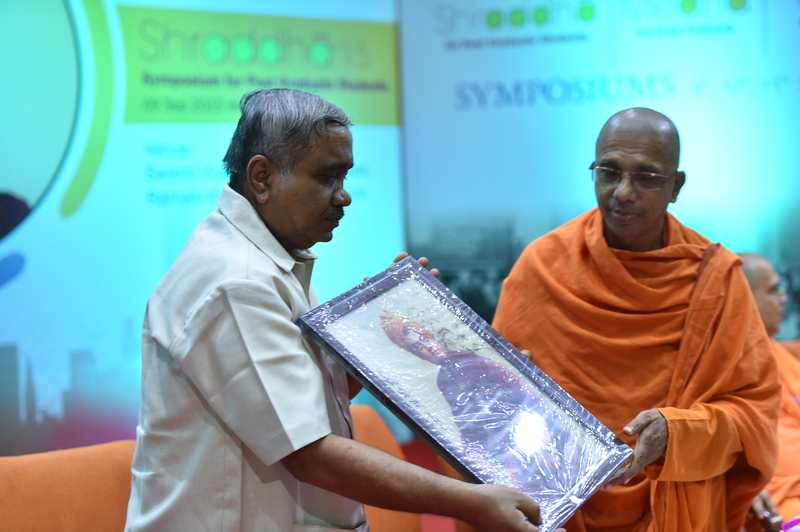 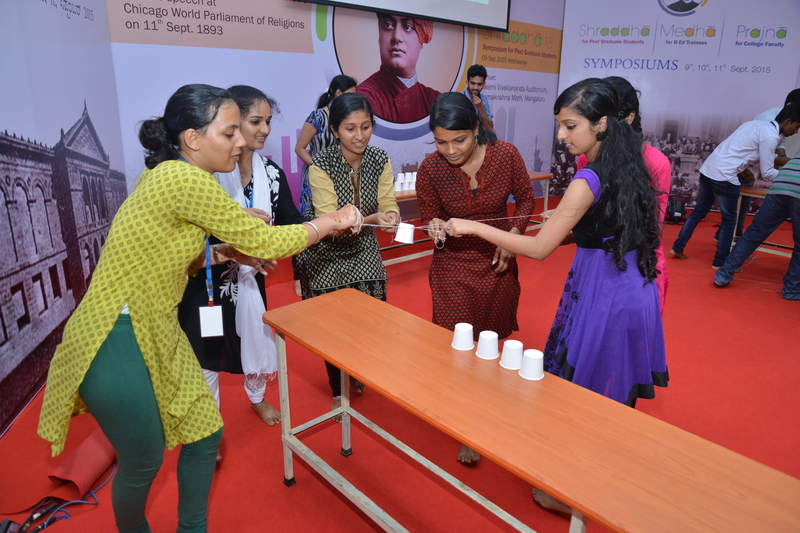 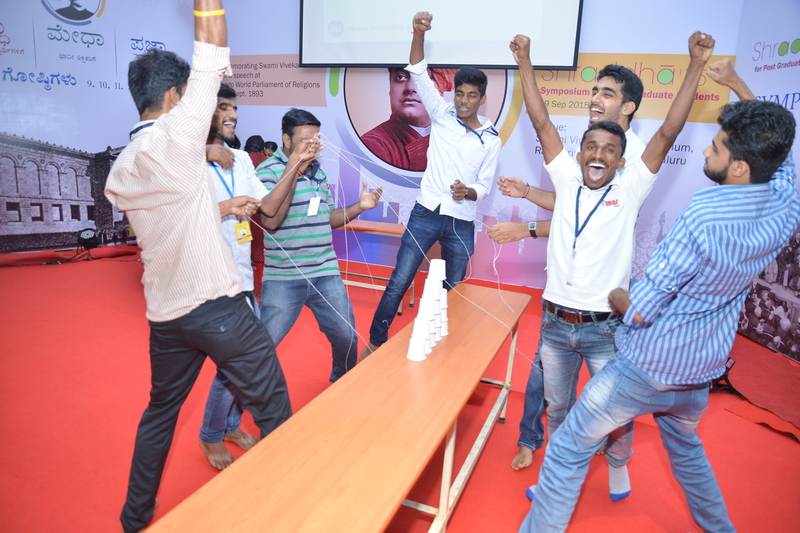 Swami Sarvasthanandaji, Adhyaksha, Ramakrishna Ashrama, Rajkot, Sri B S N Murthy, Corporate Trainer, Hyderabad & Prof. K Raghothama Rao, Director, Human Networking Academy, Bangalore were the resource persons who interacted with the delegates. 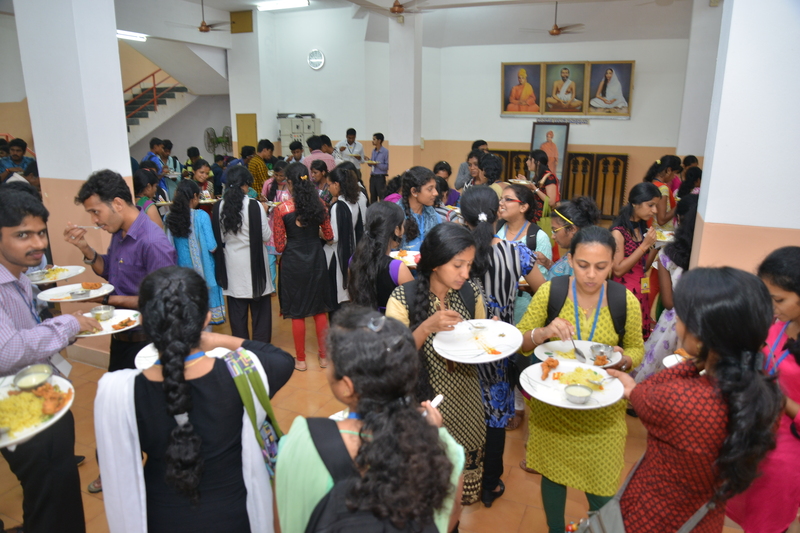 All the delegates were provided snacks, tea, lunch, complimentary books, customized pens , notebooks and participation certificates. 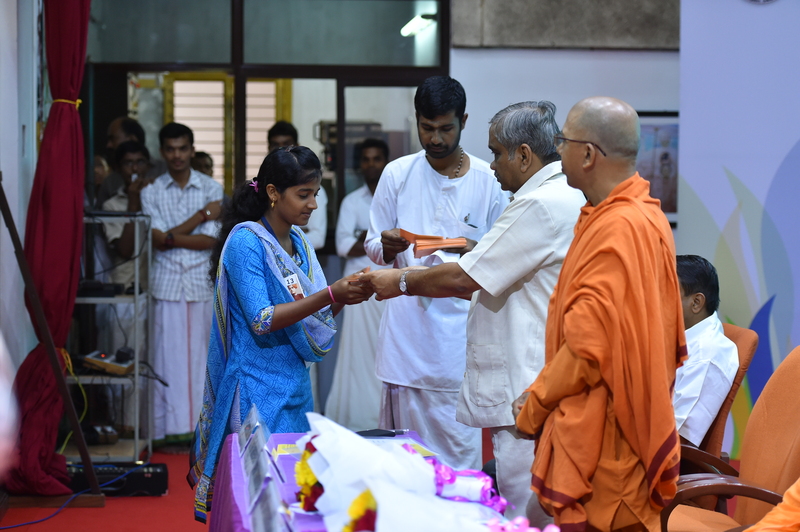 Ramakrishna Mission also distributed scholarships to deserving students on this occasion.